There is growing distrust between Indonesian President Sukarno and the Communists toward the Army Generals. After a failed left wing coup in October 1965, the Generals turn on the communist killing at least a million of them. In 1966 the Generals begin to oust Sukarno from power. 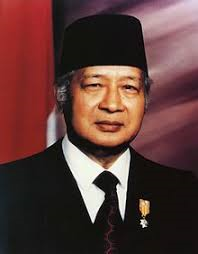 A biography of General Suharto the man who would rule Indonesian for the next thirty years. He would break all ties with Communist countries and become an ally of the west.